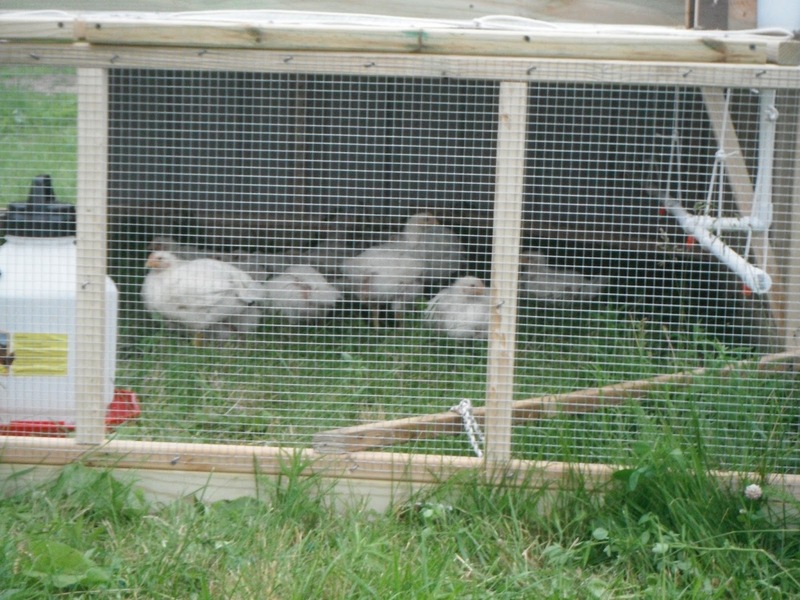 Grass Creek Farm: Meat Birds Are Moved into the Chicken "Tractor"
My dad and nephew came over today to move the Cornish X chickens from the brooder into the Joel Salatin inspired "chicken tractor". I made the tractor, which I think of more as a mobile pen, over the past several days. 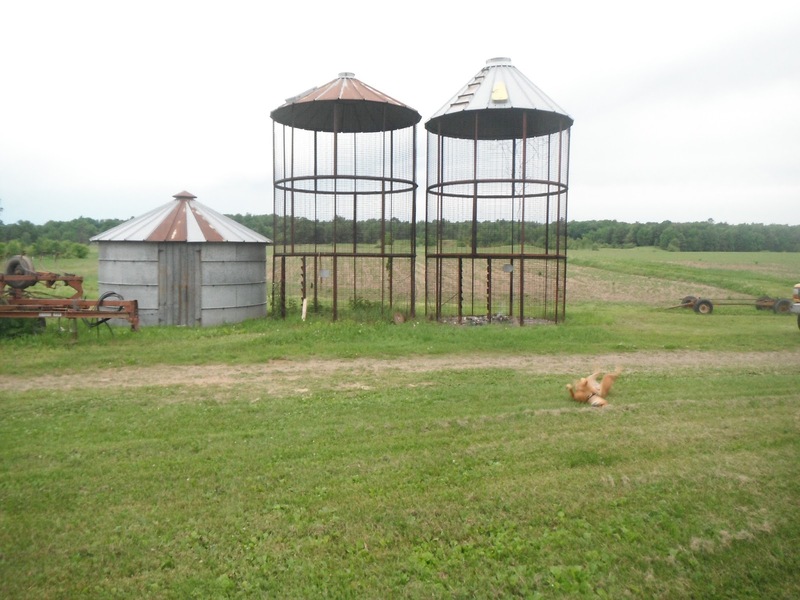 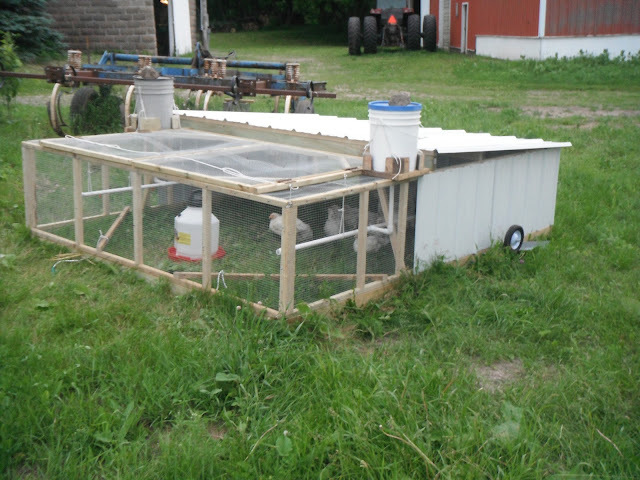 Now it's time to work on turning the two old corn cribs into a coop for the guineas, ducks, geeses, turkeys and laying chickens. 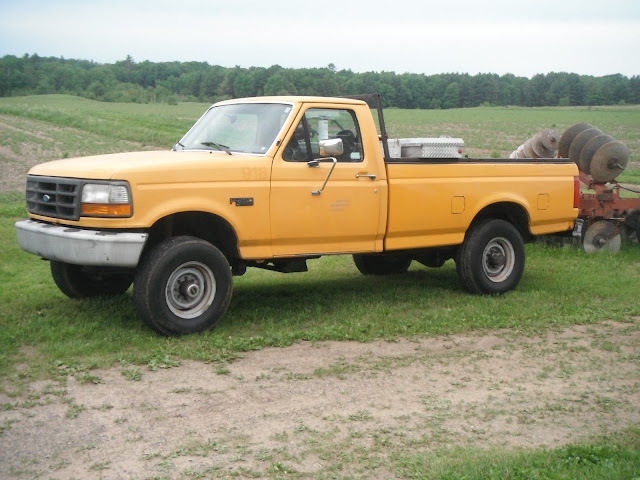 In other news, I got a new (to me anyway) farm truck!